INSIDE SRI LANKA A monthly insider’s report by Royston Ellis. March 2014. As park and playing field walls are being torn down and roads cleaned up, Colombo is fast regaining its colonial reputation as a Garden City. Although the original sprawling cinnamon gardens that once formed the city’s boundary has become the prime residential district of Colombo 7, Vihara Mara Devi (formerly Victoria) Park remains as a 53-acre garden of lawns, trees, paths and playgrounds, opposite the classically ornate old Town Hall building. This is where many of the city’s birds can be spotted, but the most unusual are to be seen where the outlet of the Beira Lake meets the sea near the Galle Face Green. 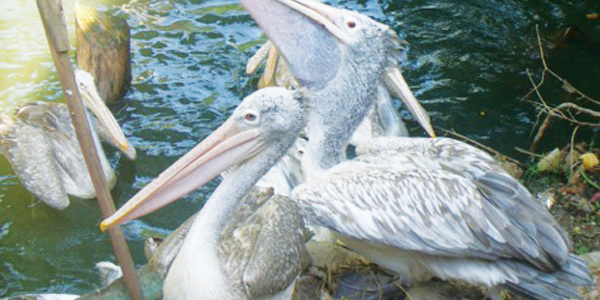 You’ll see a brigade of Spot Billed Pelicans perched on a ledge below the bridge by the Presidential Secretariat (the old Parliament Building by the Galadari Hotel). Visitors to Gangarama Temple are enchanted by the sight of spot billed pelicans gracefully swimming like swans in the nearby lake. The pelicans can also be seen as they roost in ungainly postures on top of city lamp posts. The pelican is known for its pouch which it has under it’s flattened beak. Categorised as Pelecanus philippensis scientifically, the Spot-Billed Pelican is tagged as a “near threatened” bird by the International Red List. But they thrive in Sri Lanka where the pelicans in Colombo now number several hundred. They originate from the free-flying breeding colony at the Dehiwela Zoo. 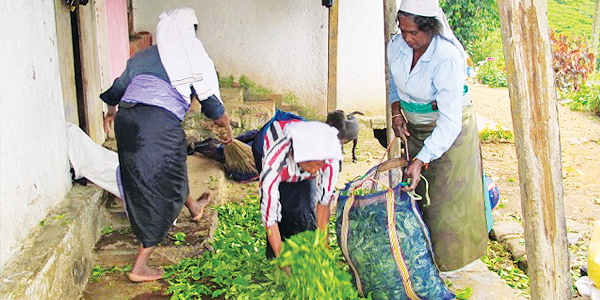 Sri Lanka is, of course, famous as the source of Pure Ceylon Tea and any visitor to Sri Lanka should at least try a cup of tea while in the country or, better still, tour the hill country where the island’s best tea is grown. This is known as High Grown Tea because it is grown, plucked and manufactured on plantations at heights of at least 1,200m (4,000 ft) above sea level. The climate and winds at that altitude impart a characteristically refined and refreshing flavour that teas grown at lower elevations lack. If you take milk in your tea, you need fresh tea made with leaves that have been finely chopped, such as Broken Orange Pekoe or even Dust. This doesn’t refer to the particles swept up from the tea factory floor, but to the minuscule size that when brewed in boiling water yields a rich, dark and invigorating liquor necessarily tamed with milk and sugar. 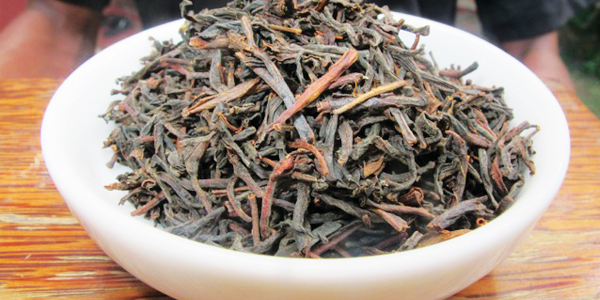 For a cup of tea without milk or sugar, then the best grade is Orange Pekoe (OP) with a long, wiry crisp leaf. Tea connoisseurs prefer tea from a single estate that is not blended with the product from another estate (thus having the purity of manufacture similar to that of a single malt whisky). On the A16 just west of Haputale there is what is known locally as a “silent” tea factory, because it no longer produces tea. 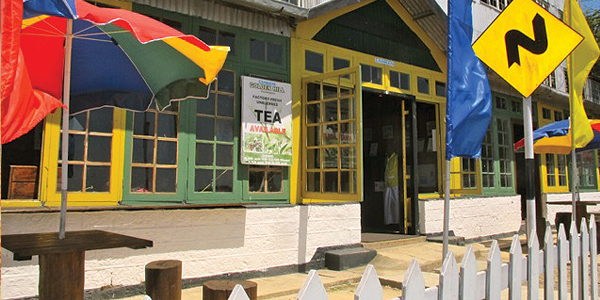 The tall, corrugated tin factory building had been abandoned for years until the Glenanore Estate decided to open a Tea Shop there selling its unblended factory fresh Golden Hill tea. With a white picket fence and wooden tables where guests can sip tea freshly made while gazing at the amazing view of rolling hills, valleys, sunshine and occasional swirling mists, this Tea Shop is perfect for stocking up on Sri Lankan pure Ceylon tea to take home. Poya Day is the term used in Sri Lanka to describe the day of the night when the moon waxes to its maximum, thus becoming a Full Moon Day. The day has always been a puzzleto visitors who can’t understand why government offices and other places are closed then. That’s because by law a Poya Day is a public, bank and mercantile holiday. Although major shops and restaurants will be open, alcohol is not legally served anywhere as the day is officially a "dry" one. The Full Moon Day has not always been a national holiday in Sri Lanka, although the observance of the day to commemorate a Buddhist festival has it roots in history. In ancient times when it was observed that the Full Moon put in an appearance regularly every 30 days, Asian ascetics are said to have made it a practice to cease worldly pursuits and engage in religious activities on such days. It only became a government decreed public holiday throughout Sri Lanka in 1966. That’s when — because of the government’s desire to gain the approval of Buddhist priests who wielded considerable influence on the population – it was decided to legalise holidays to celebrate the lunar rituals of the traditional Buddhist calendar. This calendar was based on the phases of the moon with each quarter day (and the day before it) becoming a holiday. After this was decreed, it soon proved unworkable as it was difficult for anyone (even Sri Lankans) without a calendar showing the quarter moon days, to know which days in Sri Lanka would be working ones, and which would be holidays. It also created too many holidays in a year, since Sundays and the holy days of other religions were also statutory holidays. After some confusion, Sri Lanka adopted the idea of observing only the Full Moon Day as a holiday, and not the quarter days. 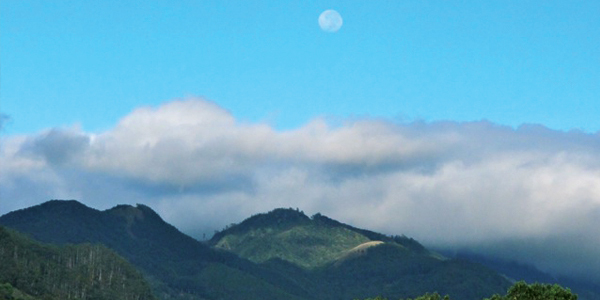 This practice has now become a tradition with all Sri Lankans, whatever their religion, appreciating the Full Moon Poya Day as a day of rest and reflection. 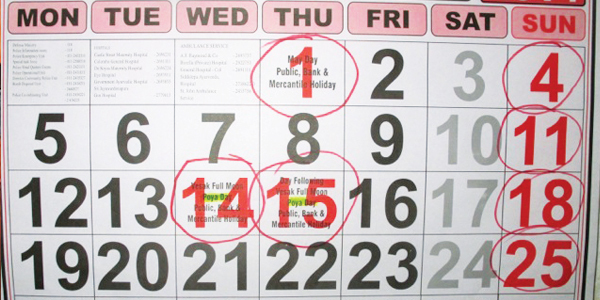 Even with this adjustment, Sri Lanka, with government-decreed days off to commemorate the special days of its four main faiths (Buddhism, Hinduism, Islam & Christianity) and other festivals, still has more official holidays than anywhere else in the world, an average 70 a year without including Saturdays, also not a working day. 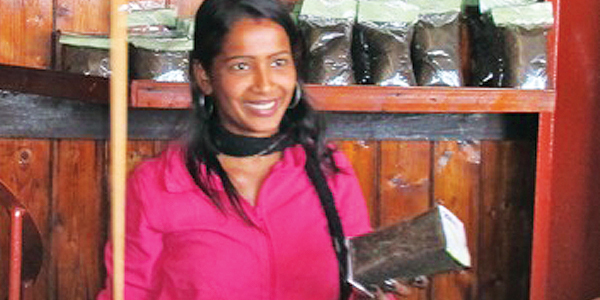 INSIDE SRI LANKA A monthly insider’s report by Royston Ellis, February 2014. INSIDE SRI LANKA – A monthly insider’s report by Royston Ellis. April 2014. Get your career path guided by our experienced staff.